This phenomenon is not only due to the suburbia-feel surroundings of the public tennis courts at Clapham Common Westside and being in "Nappy Valley" zone, but in large part probably due due to finally having a British tennis Grand Slam tournament winner. 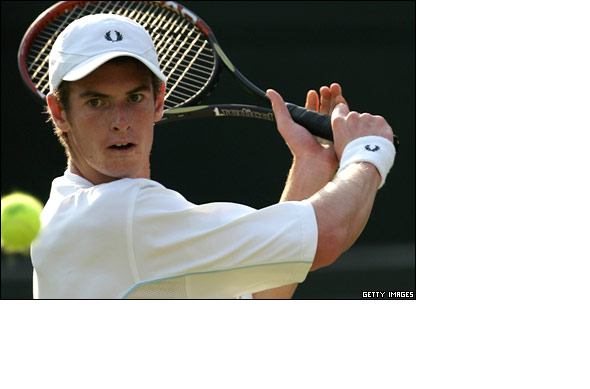 Andrew Murray winning Wimbledon in 2013, as the first British male since the late great Fred Perry's in 1936 is a monumental feat. A forerunner to that climax event was another grand sporting occasion of all great sporting occasions, "The 2012 London Summer Olympics". Access to those Clapham tennis courts via Nightingale Lane (described by estate agents as a leafy lane of suburbia), is an affluence befitting the high culture of tennis. Neighbouring the Clapham tennis courts is the border of Balham so strictly speaking we will refer to the area as Clapham and Balham. And broadly the district is in the boroughs of Lambeth and Wandsworth respectively. The neighbourhood residents may have seen the former British tennis No.1 Andrew Castle in the area, or on his way to commentary during Wimbledon fortnight and his presenter jobs in television and radio. Also living nearby and spotted at Wandle Leisure Centre among other spots in nearby Wandsworth Town is Annabel Croft - a lush darling of British women's tennis exemplifying the English rose of beauty. And not too shabby at tennis either, as some would say! Talking of affluent tennis society in suburban Clapham and Balham, on the borders of Conservative Party flagship Wandsworth Borough and Labour-run Lambeth Borough is a knighted hedge fund supremo's residence. Sir Michael Hintze is a lesser known Australia-descended resident in Clapham, spotted hob-nobbing with Royalty and V.I.Ps at the Royal Wedding of Kate and William, also in lucky 2013! He is founder of wealth management business CQS. With such home-turf background merits and great personal enthusiasm that LineBall Tennis purveyor Krishna K. Siva is launching his unique tennis instruction programme for 2014. The "LineBall" banner is the ethos of aiming to hit the tennis court lines when playing for the extreme winning edge. In Krishna's life principles terms, there are also many fine lines, such as between success and failure, winning and losing etc. In relation, essential to the extreme winning edge is keeping your eye on the proverbial ball - n'est past? Krishna originally started playing tennis at Clapham Common Westside courts at the late age of eight from his walking-distance residence. Therefore he claims and solely deserves the title of "local tennis coach" at Clapham tennis courts and at local clubs. What is this tennis instruction programme? As well as this website, encompassing a topics-of-the-day blog, the mainstay of LineBall Tennis is serving its select clientele with tailored tennis coaching. This is no mean feat to aim for or indeed excel in. Witness the 77 years Britain has had to wait for tennis success; a wait prolonged and widely acknowledged as due to grass-roots tennis issues. LineBall Tennis tips addresses the grass root problems by encouraging wider participation and enthusiasm for tennis. That 'enthusiasm' or even lesser 'interest' in tennis being fostered into a life-long love of tennis is our mission for British and Clapham Tennis. LineBall's The game is not branded exclusively in competitive ardour terms, but principally as a pleasurable sporting pursuit for health and well-being. Hence LineBall's motto "Tennis is our pleasure...!"